When it comes to complex commercial disputes, there is almost nothing Walsh attorneys have not previously encountered. Our versatile team of litigators has represented some of the country’s largest and most prestigious companies across a broad range of industries: consumer products, healthcare and pharmaceutical, technology, financial services, construction, and more. We are equally proficient prosecuting and defending complex and multi-party litigation, and are sought after for our expertise in a multitude of subject areas, including intellectual property, antitrust, breach of contract, shareholder oppression, unfair competition, fraudulent business practices, ERISA, RICO, business torts, products liability, and class action defense. Our philosophy is to formulate our response around what matters most to the client. In every case, that includes minimizing time, cost and disruption. We find that the most economical strategy begins before a dispute even arises, and are therefore eager to provide individualized counsel to management on strategies to avoid litigation and minimize litigation risk. When a dispute does emerge, our priority is always to resolve the matter early, including through alternative dispute resolution techniques such as mediation and arbitration. Litigation is sometimes unavoidable, however, and in such circumstances we take an aggressive approach on behalf of our clients. Our track record speaks for itself: our litigators have successfully settled or tried innumerable cases in state, federal, and appellate courts as well as in a variety of arbitration tribunals. Walsh attorneys hold prestigious distinctions in the litigation arena, including several designated Best Lawyers ─ Intellectual Property, Class Actions and Commercial Litigation, and the Certified Civil Trial Lawyer designation administered by the Supreme Court of New Jersey. 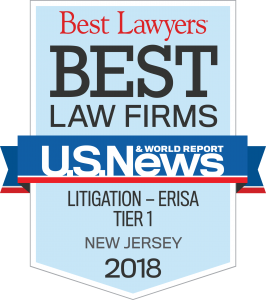 Though we are a regional law firm, our membership in select national and international consortia of litigation counsel also gives clients access to top-flight lawyers across the entire country to assist us as local counsel ─ ensuring that the case is handled by the lawyers with whom the client is most comfortable.